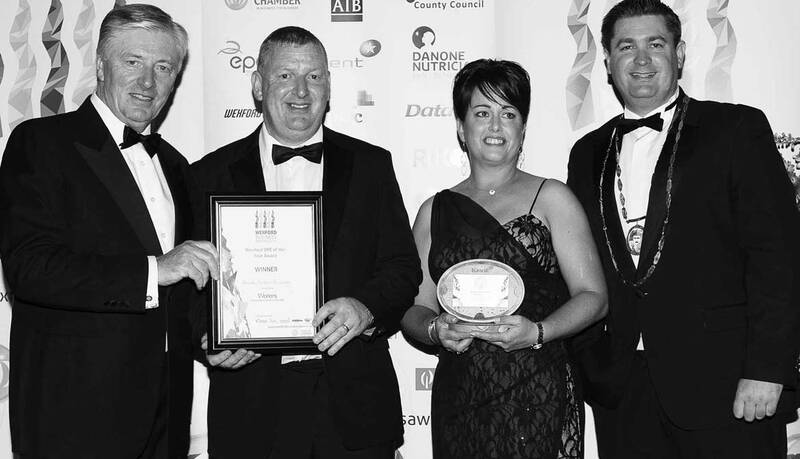 The 2016 Wexford SME of the Year Award, sponsored by Waters Technologies, went to Carragh Paving & Landscapes – presented by Pat Kenny. I engaged Carragh Paving and Landscapes to complete all of the landscaping in our gardens (which had been neglected for many years) in what became a substantial 18 month, evolving programme and the results have been fantastic. The gardens are an absolute pleasure and have transformed our day to day living; we spend a lot more time outdoors as a family and we avail of all of their facilities significantly more than ever before. Carragh managed the process in a comprehensive, structured manner at all times and always completed the work on time and within budget, regardless of the prevailing weather. Carragh’s staff were in our gardens and around our home for a protracted period of time and were always courteous, responsible and highly reliable. All of the work was additionally completed to a very high standard; I would have no hesitation in recommending them without reservation.